Opening hours: Daily 10am – 1pm & 4pm – 7pm. Decorated by Apex Harmony Lodge with Karen Mitchell. Arrived at 44 Pasir Ris Drive 4. Enjoy !! 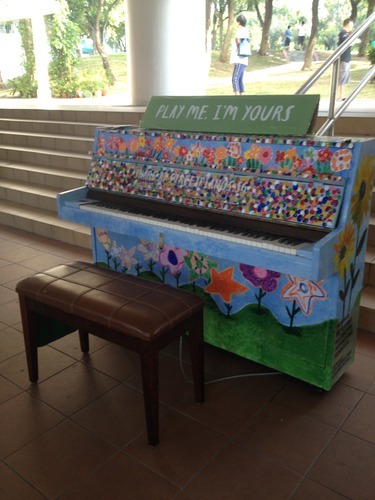 Finally completed the Charity project 'Play Me, I'm Yours' piano artwork! It has been a fun and enjoyable experience for me! 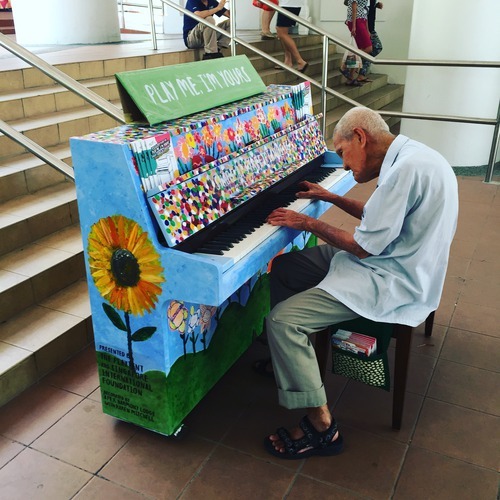 Many many thanks to the Art Therapist Jeanette Chan, Safety Manager, Handyman Uncle Krishnan, Manager Vernon, the staffs Audrey, Chris Tan, Ng Jue Ann, Teresa Joanna Thia, and student volunteers from Chinese High School. Most importantly, the involvement of about 150 residents and day-care clients of Apex Harmony Lodge. Without their participation, it will just be a piano. 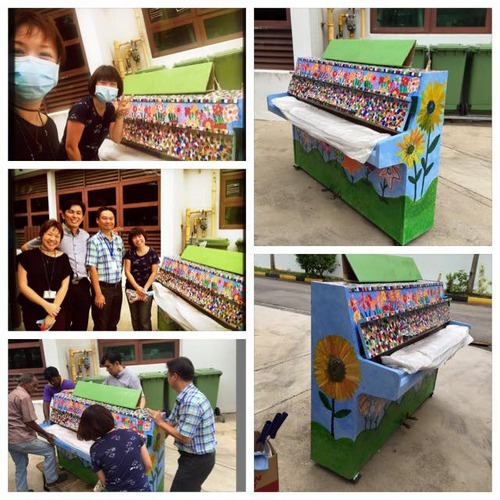 And here we have the staff from Apex Harmony Lodge (AHL) sanding and priming the pianos before their residents decorate it! Such hands-on, passionate and dedicated staff with a can do attitude, and they are so hilarious and game for anything! 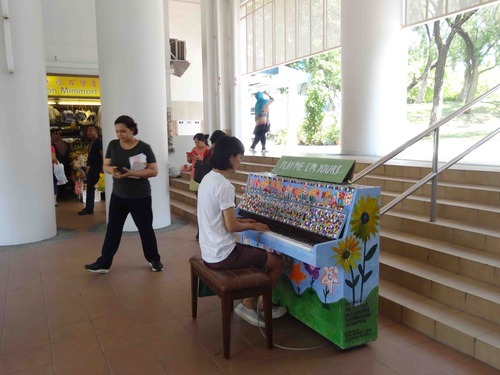 Can't wait to see their piano hit our streets, specifically Pasir Ris! Exact location will be released soon. P.S they were humming the Blue Danube whilst painting just to get into the mood!